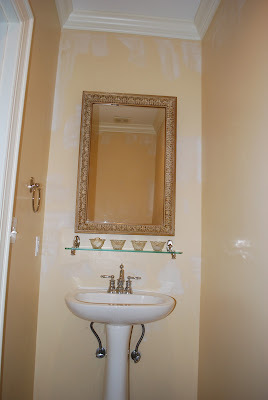 This past Spring I decided that it was time to make some changes to our powder room. I wanted a real change, but did not want to break the bank making it. So, I had to make some decisions about what I wanted to splurge on and where I needed to find some affordable options. As you can see from this before shot, the room has no real character. There are no windows and it is very small, even for a powder room. The only real thing it has going for it are the high ceilings. 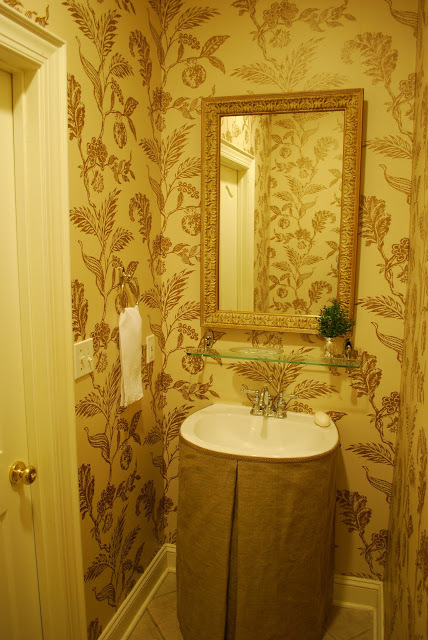 The door to the powder room is to the left in this photograph, and the toilet (or "potty" as we like to say here at the Smith T house) is opposite the vanity. In fact, I struggled to take this picture without sitting down on it! And yes, this space is just this tiny in person. So, you get the layout right? Well, I thought about what I wanted to splurge on (even with a small budget). I first did some research into the perfect antique chest to convert into a vanity and the perfect thick slab of limestone to put on top of the vanity, but the price was not perfect. It was prohibitive. So, I decided to invest a little money into wallpaper instead. It was still a splurge, but not as expensive as a new vanity. I decided to skirt the pedestal sink in this woven linen fabric. I still need to iron out the wrinkles, but you at least get the idea. This is a shot as you walk into the bathroom (vanity to your left and potty to your right). I plan to hang a series of framed intaglios (I picked these up on Ebay for a real deal, if you recall from a recent post I did) above the small table. This will break up the large wall and add some interest as you walk into the space. Here's a closer look at the trim detail on the skirted pedestal. Note to self: never ever try to sew on self stick velcro. It will ruin a sewing machine needle in about three seconds. Instead, use sew on velcro on the fabric piece and stick on for the porcelain side. I will have to wait a while to have my intaglios framed (the budget is gone! ), but once I do this and hang them, I will repost the final look of the space. This will be my last post this week. Have a wonderful Thanksgiving. We all have much to be thankful for in our lives. I hope you take some time this holiday season to count your blessings too! I will be back next week. See you then M.
This looks fantastic! 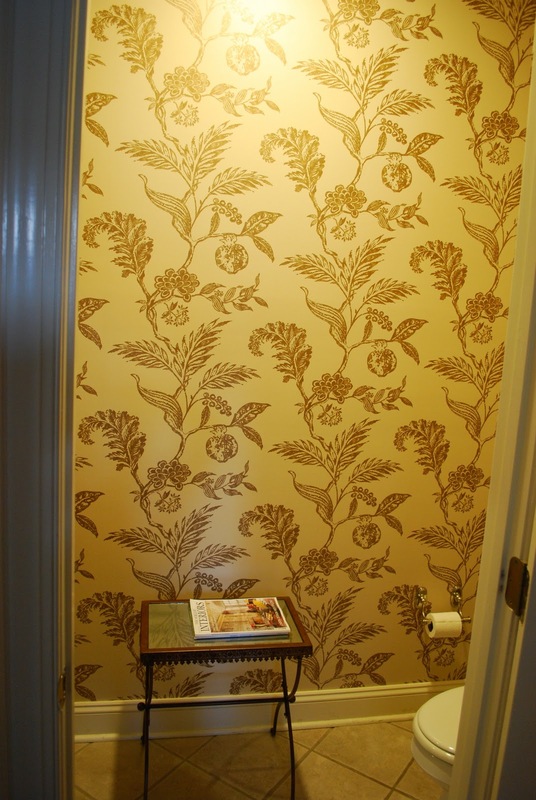 I love the wallpaper - it tranformed the space! wow, what a great transformation! Great wallpaper! Huge impact! 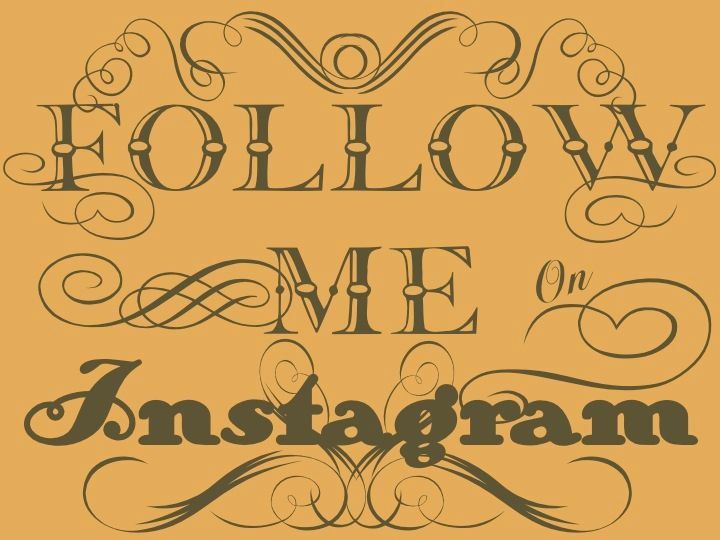 Just found your blog... following! Thank you for all these sweet comments! You have made my Thanksgiving holiday!! Mandi. wow. that looks amazing mandi. the fabric around the sink is perfect!! and the wallpaper really does pop. To get the wrinkles out of the linen without losing the linen-y texture, just spray it with water and smooth it with your hands - you know I know whereof I speak! Thanks for the tip, Tricia! And yes, I do believe you know a thing or two about linen! M.
I have a vanity and guest bath of similar size I love the idea of skirting the vanity--it doesn't seem to take up too much room and looks so polished! It's stunning! 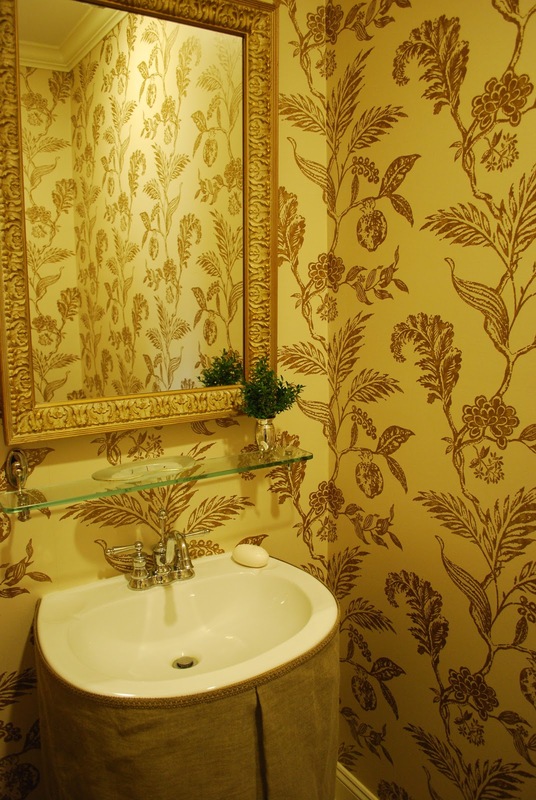 I love the wallpaper and your skirted sink is so fabulous- nice work! Oh gosh, this is totally stunning!!! The wallpaper is magnificent and the skirted sink is so dressy...standing ovation from me!! You did a fabulous job! How elegant - I love this! New follower, btw! Hi there- just wanted to let you know I highlighted your post at this weeks Feathered Nest Party! WOW... this is gorgeous! This was featured over on French Country Cottage, and is such an eye catcher! I love the skirted sink. Really nice! How is the Velcro on the sink holding up? I ask because I did the same thing to out laundry sink but the Velcro is not sticking well. Any hints? That looks fantastic! The skirt really madea difference too, great job! I'm working on my powder room right now and since I can't afford a nice wallpaper right now I'm planning on hand painting a pattern on the walls...I know, crazy right? This bathroom really does look very nice!!! People always want to decorate their bedroom where they can feel good atmosphere. To give good look they can use different colors of lights. What are the deminsions and how wide is the door?